Kansas City, Mo. 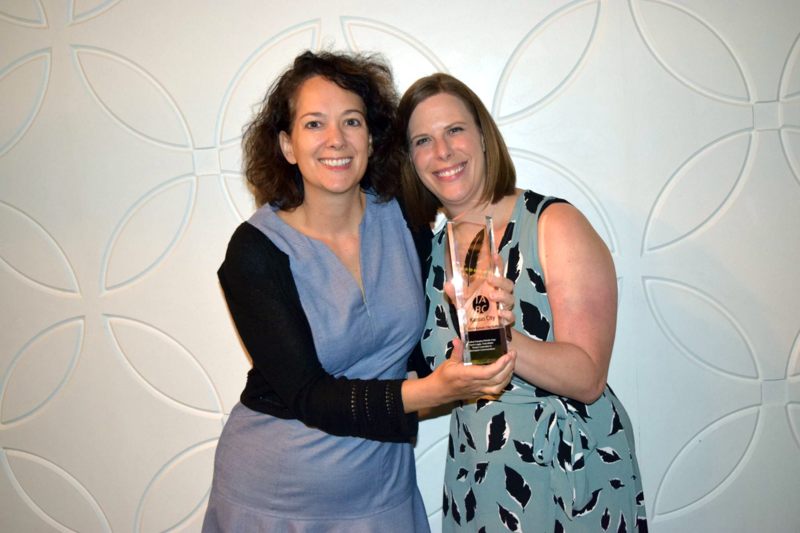 - The Kansas City chapter of the International Association of Business Communicators (KC IABC) awarded Karen Loggia, director of marketing for Tension Corporation, and Tricia McKim, Vice President for Morningstar Communications, with a 2016 Bronze Quill Award of Excellence for creating engaging website copy. The KC IABC recognizes Kansas City-area companies that exemplify outstanding communications at their annual Quills event. Through a partnership with Morningstar Communications, Loggia helped to create copy for three websites under the Tension brand that represent the Corporate and International, Envelope and Printed Communications, and Packaging and Automation business units. Tension launched its updated websites in 2014 and 2015. "We wanted to better represent our breadth of products and services," says Loggia. "We are in the business of helping our customer better communicate with their customers, so naturally our website needed to best represent who we are and what we do." Since joining Tension Corporation in 2012, Loggia has made significant advances in Tension's marketing efforts to include digital marketing, print collateral, social media, tradeshow strategy, proposals, advertising and public relations, as well as select sales operations and internal communications initiatives. "Karen's strategic-minded approach to communication includes critical elements of both big picture and specific details," said Toby Reed, Vice President of Sales and Marketing for Tension. "Coupled with a creative, sometimes humorous angle, her writing style keeps website users engaged and informed." Through involvement with organizations such as KC IABC, KCDMA and United Way of Kansas City, Loggia has established relationships with top marketing professionals, who have provided avenues for thought-leadership exchanges and invaluable new business partnerships for Tension.